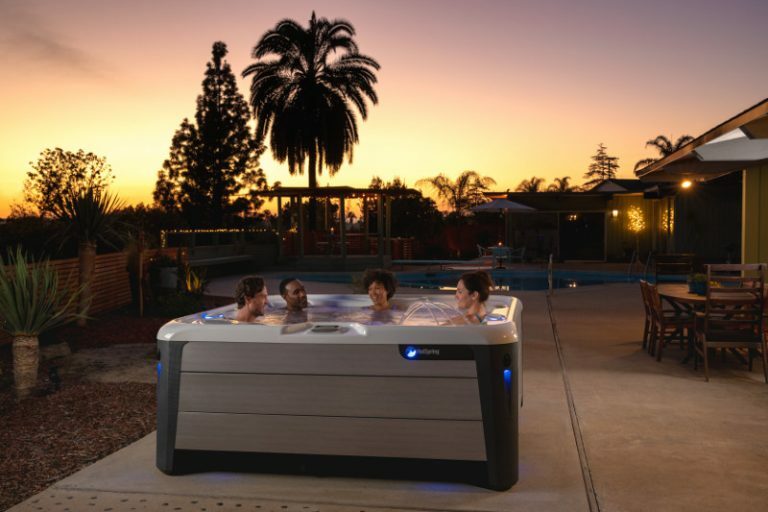 It’s easy to enhance your quality of life when you opt for low monthly hot tub payments. Your health and well-being is the foundation for everything you do. Can you really afford to not have a hot tub? Having your own spa means 24/7 access to personal hydro-therapy and hydro-massage. The heat in a hot tub raises your body temperature to increase circulation, and the buoyancy reduces your body weight, relieving pressure on muscles and joints. Your body will thank you! Are you interested in a particular hot tub? 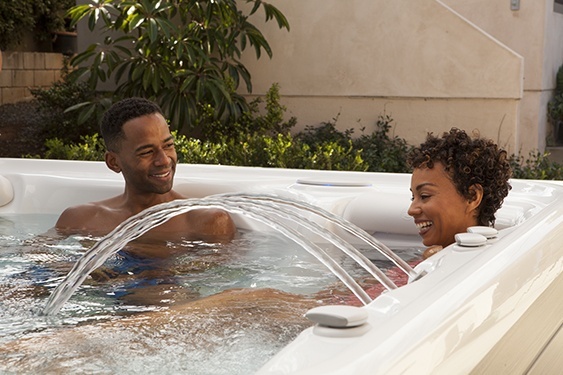 With your very own spa from The Hot Tub Store, relaxation and stress relief become part of your everyday life. Renew your body, mind and spirit with regular soaking. Your life (and the people in it) will thank you! A monthly fixed payment makes it easy to relax about the financial picture. Choosing a quality, durable, well-built spa saves you money and prevents stress for years to come. 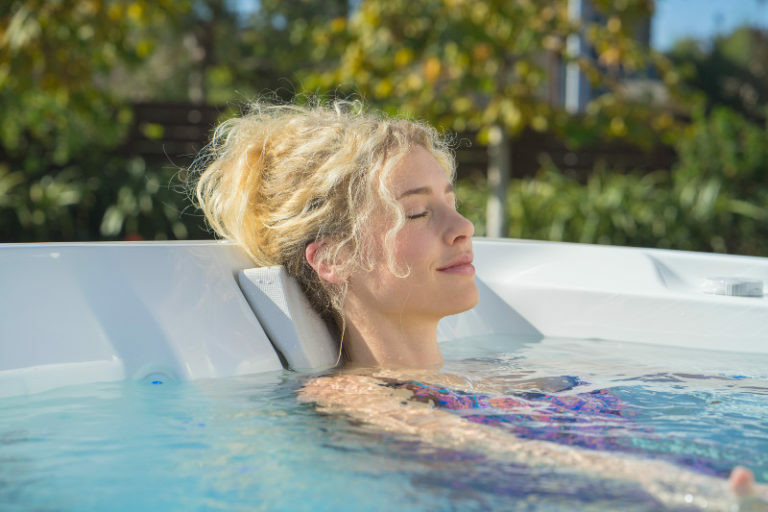 Take advantage of our fantastic financing program and own the highest quality hot tub now, rather than putting it off or settling for a low-quality alternative upon credit aproval. You deserve it. 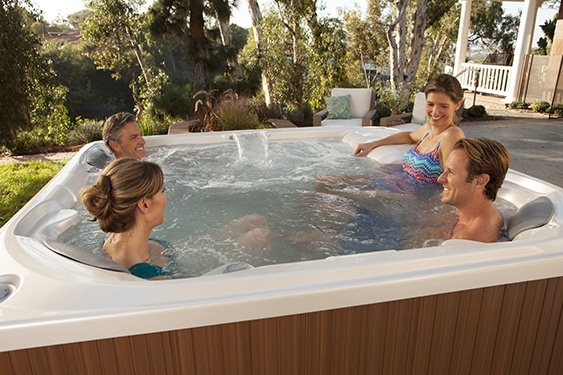 At The Hot Tub Store, we aim for 100% customer satisfaction and strive to cultivate and maintain lifelong quality relationships with all our customers. Our signature Hot Spring spas come with a 20-year parts commitment from the manufacturer because they’re built to last for decades! Your local Hot Tub Expert can help you find the perfect spa for your needs, with the most convenient payment plan, at the very best price. Isn’t it time you took your well-being off the back burner? Prioritize wellness and happiness. Contact a Hot Tub Expert today to find out just how affordable your new hot tub can be! We have several financing plans and special programs allowing you to buy now and pay over time. Many factors come into play, including the amount of downpayment, your credit score, the hot tub model you’re interested in, and other discounts you may be eligible to receive (for instance, floor model incentives, discounts for veterans, etc.). Your local Hot Tub Expert will find you the best deal on the hot tub that’s just perfect for you and your family. Qualified buyers have access to financing through 1st Security Bank, and also via Wells Fargo during special events. Visit or call your closest The Hot Tub Store showroom to begin the application process and find out what’s possible. Speak to your local Hot Tub Expert about low monthly payment options. We’ll guide you through the application process and you’ll get a same-day decision! Special financing with Wells Fargo is offered with approved credit during active promotions. Speak to your local Hot Tub Experts for details.